Ministry of Propaganda - 26/Apr/2009: "Bluebell Woods and Beenham Church Stroll"
The early evening light was very nice, providing some beautiful colours. 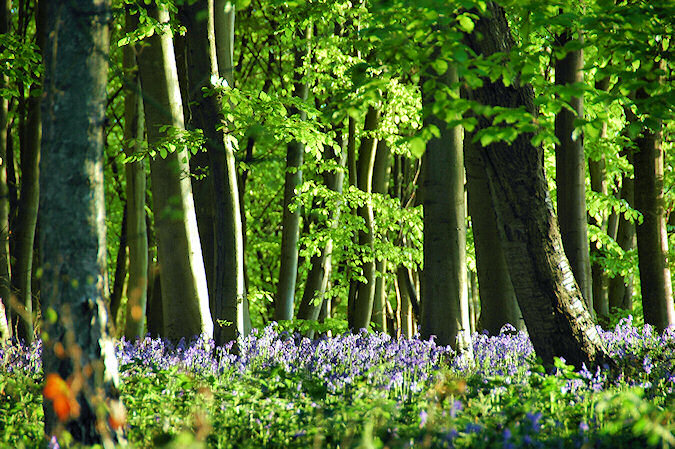 The fresh green of the new leaves, the carpet of bluebells on the ground, the trees, just wonderful. 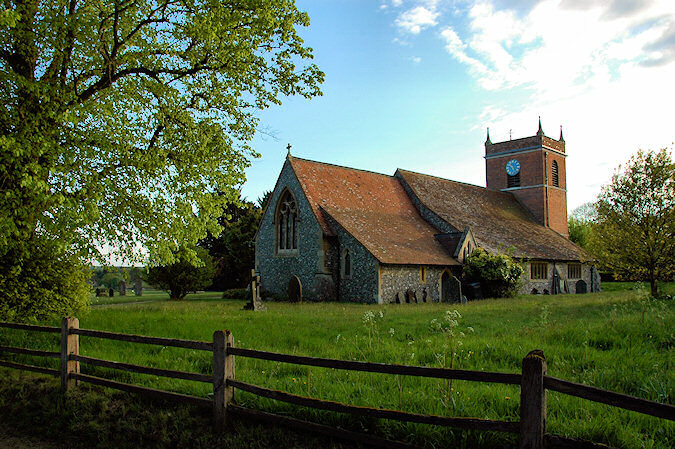 I walked up to Beenham Church and cemetery, where I had a quick look around. From the church I briefly explored a footpath towards Oakwood Farm, but then decided to turn back and walked home the same way I had come.